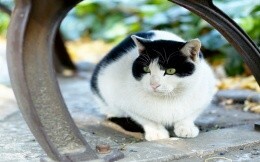 Black and white cat with green eyes and a sly face, wallpaper, animals, cats. 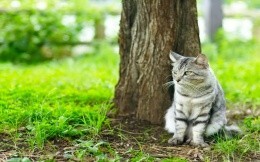 Cat in the grass under a tree, wallpaper, animals, cats. 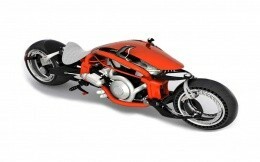 Futuristic red motorcycle buduyuschego wallpaper. 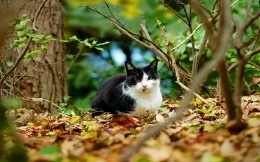 Black and white cat in the woods and bright fall foliage, perfect wallpaper, cats, animals. 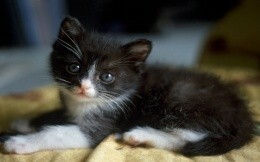 Small black-and-white kitten, wallpaper, animals, kittens.